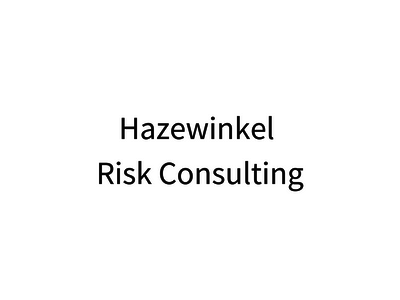 As independent consultant I support wide range of Governance, Risk & Compliance (GRC) challenges for (international) companies to be and remain ‘in control’. Ideally suited for GRC Strategy setting, including compliance culture gap assessment and roadmap design. Can offer programme/change management oversight and coaching of individuals and teams involved to operationalise the strategy, incl. GRC tool selection. I am an independent Consultant and Finance & Risk professional, with 27 years’ experience in the Oil & Gas sector at Shell. I have worked over 8 years at board level (EVP/VP) to set and deliver the risk management agenda and lead large change programs to remain ‘in control’. I have deep knowledge of the ‘Hearts and Minds’ methodology to assess and improve company (risk) culture and intrinsic motivation to comply. I enjoy turning complex challenges into workable parts and coach the team to deliver on the agreed direction. Other: Governance, Risk & Compliance (GRC) Strategy and Roadmap; Programme and/or Change Management coaching to operationalise the GRC Strategy; Compliance Culture gap assessment and roadmap using Hearts & Minds methodology; ISO31000 Risk Management, ISO9001 Quality Management and Management Systems. Other: International companies with Governance, Risk & Compliance challenges.